Led by 10-year-old Ryder, the plucky pups of PAW Patrol are rescue dogs in training. 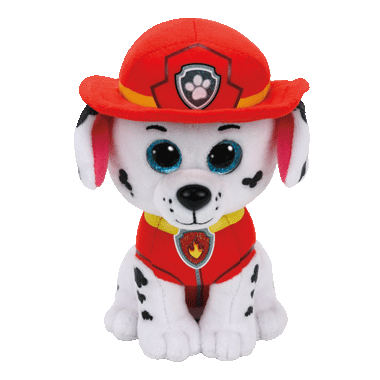 Each pup is inspired by a real-world job like fire fighter, police officer, and construction worker. When trouble strikes Adventure Bay, they're there to save the day! Whether it's a cat in a tree or a train off the tracks, they always find a way to help those in need. Collect them all and start here with Marshall!